I am not sure what type of spider this is can someone help me please? Can you get a closer photo? It might be a kind of fishing spider. If you are afraid to go closer for a photo try putting something like a backboard or float between you and the spider. Digital zoom doesn’t work well, real telephoto lenses do work and can be clipped onto cell phone cameras. 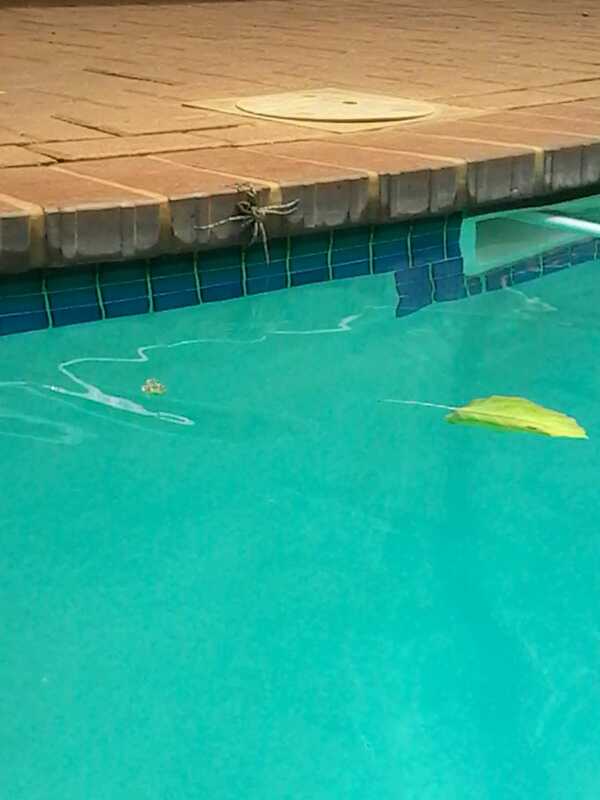 A leaf skimmer or net would also work to move the spider away from the pool to a place where you can take a photo.